please read all the rules to participate in this giveaway, 5 users will win this giveaway and I will pay Rs.100 Paytm cash each of them. In case if you don’t win please don’t worry I will do this type of giveaway every week and you have many chances to win this giveaway, so good luck to all of You. Please follow these simple rules to join this giveaway. 2. Share This Giveaway with your Friends. 3. Enter your name and Paytm Number. 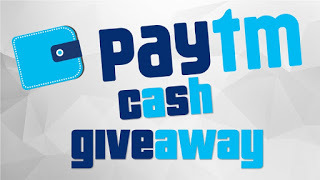 After submitting your Paytm Number 5 lucky user will win total of 500 Paytm cash every week, I will choose random 5 users and giveaway them. if you have Multiple Paytm numbers you can enter but Duplicate name or Paytm numbers will not be a winner. After submitting the form please keep checking my telegram channel Winner list will be updated after 1 day. NICE BRO … YOU CARY ON ..
Vai tum jo update deta hi sajme vai bahat helpful he vai , sasme bahath acha he. East ho ya west creative bijoy is best work.